WaterNSW will work with the NSW Environment Protection Authority (EPA) and the Division of Resources and Geosciences (DRG) to ascertain the accuracy of data published today concerning contaminated water being discharged from Berrima Mine. 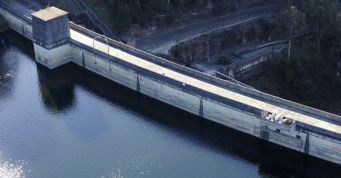 The data cites contamination rates much higher than previously reported by the mining company for water being discharged from the disused mine located in the catchment’s far south, outside sensitive special areas and more than 90km from the water offtake point at Warragamba dam. Issues raised in the 2016 catchment audit associated with the disused Berrima Mine are being managed by DRG, as well as the EPA. WaterNSW has been providing specialist advice to DRG and the EPA on any possibility of risk to Sydney’s drinking water catchment and will continue to be involved in the multi-agency process to finalise the mine closure plan. While the immediate risk to drinking water supply is negligible based on WaterNSW monitoring data, WaterNSW holds concerns about the water quality impact in the immediate vicinity of the mine discharge.